John attended Aragon high school from 1968-1971. San Mateo dominated Joe Dimaggio baseball from 1970-1978 and then Bob Roselli started the San Mateo Legion team and Coach Goulding stayed with Dimaggio for one more year. In 1980 Coach Goulding and Coach Roselli - teamed together and continued San Mateo Legion through 1987, so for the better part of 17 years Post 82 San Mateo Legion was the dominant program. 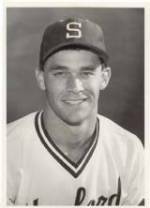 Tony Santora had a quality Millbrae Dimaggio team in the 70's and early 80's and came over to San Mateo Post 82 Legion team 83-87. Bob Roselli retired from SMLegion in 1985. Coach Goulding continued in 1986 and 1987 and San Mateo Post 82 won the State both times. 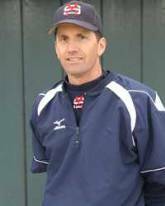 Coach Goulding left San Mateo Legion after the 1987 season and started coaching Union City Legion in 1990. Union City won the Area Tournament in 1990 and 1991. In 1991 Union City finished 2nd in the State and won the Northwest regional in Sheridan Wyoming and went to Boyertown Pa. for the World Series. Coach Goulding started his coaching career at Logan High School in 1992 and retired from the Union City Legion team in 1995. Coach Goulding continues to be the Logan High school,Union City Head Baseball Coach and has 300+ wins in 18 years. MLB: Selected by Texas Rangers in 23rd Round of 1982 amateur entry draft. 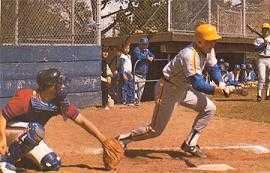 While at Serra, Bob was a three year starting shortstop. He earned honorable mention status as a sophomore, and earned All-WCAL, All-County, and All-Peninsula first team honors as a junior and senior. He shared the 1982 Blanket Award with Barry Bonds. At the completion of his senior year, he was selected All-Northern California and played on the California All-Star team which traveled to Oklahoma for a series of games. Bob accepted a baseball scholarship to Arizona State but transferred to Oklahoma State for whom he played in two College World Series. Drafted: Selected by Los Angeles Dodgers in 4th Round (87th overall) of 1985 amateur entry draft. 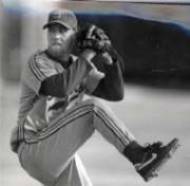 Professional instructor Mike Roza is President of the Pitching Academy, and played baseball for San Jose State, CSM, and San Diego State. His staff members include top high school and college players. Mike is the winningest pitcher in Serra history. A three-year member of the Varsity team, Mike was 10-0 his sophomore year, won eight games in his junior year, and 12 his senior year, including the C.C.S championship game. Mike also established school and league records for innings pitched in a career. Mike was elected to the First-Team All-WCAL and First-Team All-County three consecutive seasons, and received the Blanket Award his senior year. Mike was also a two-year starter on the Varsity Basketball team. Summer of 1983 Post 82 Pitching Won and Loss Record: 19-0. Senior relief ace Justin Segal collected saves in each of his last four save opportunities, including Saturday's win over UC Irvine. In the game against the Anteaters, Segal tied his season-high by hurling three innings to claim his seventh save of the year. He now has 14 saves in his career and has moved into a tie with Butch Seuberth (1986-87) in the third spot on UCSB's all-time list. The all-time leaders, Alex McRobbie and John Minton, each had 16. His seven saves also ties him, with himself among others, for sixth on the single-season list. Greg was selected the WCAL's most outstanding linebacker and first-team All-WCAL as a senior. Greg earned all county honors and was chosen as the Blanket Award recipient as well. He owns several home run records including most home runs in a game - 3, a feat he accomplished twice, and most home runs in a single season - 11 (since broken). Not only was Greg selected Co-Player of the Year and All-County, he was selected as the Shea Award winner, emblematic of the outstanding student-athlete at Junípero Serra. Greg went on to CSM and was selected to the junior college All-American first team. 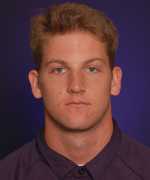 At UC Santa Barbara, Greg earned All-Conference honors while guiding the Gauchos to a conference championship. He was drafted and played two years with the Toronto Blue Jays. Head Coach, 17th Year. His Bulldogs have averaged 32 wins per season since 1995, enters his sixteenth season as head coach. In 2009, Williams guided the Bulldogs to a 33-13 record, an eighth consecutive Coast Conference North Championship and a 14th trip to the Northern California State Playoffs. One of his most memorable experiences was when his first team at CSM claimed the 1995 Coast Conference National Division Championship. The Bulldogs posted a 38-11 record in Williams' first season, setting a school single-season record for victories. His fifteen-year record at CSM is 513-206 and he is a seven-time recipient of the Coast Conference Coach of the Year Award, most recently winning the award in 2009. During his tenure, 189 out of 199 players have transferred to four-year schools or signed professionally. 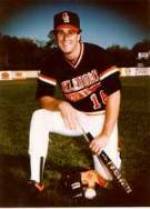 Williams played NCAA Division I baseball at UC Santa Barbara during the 1987-88 seasons. A native of nearby Belmont, Williams played the infield and pitched for Carlmont High School, from which he graduated in 1983. He began his Bulldog career as a player for the legendary John Noce during the 1984-86 seasons, including a redshirt year. In his last season at CSM, the Bulldogs won the championship of the former Golden Gate Conference, which was the school's last title until Williams guided the Bulldogs to the 1995 crown. Williams began his coaching career in 1990 at CSM as an assistant to Coach Noce, a position he held during the last three seasons of Noce's 31-year tenure at the College. Williams also gained summer coaching experience in in a professional league in Perugia, Italy. 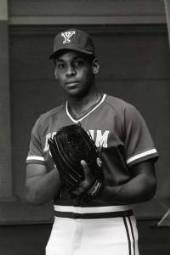 In 1993 Williams' alma mater, Carlmont High School, sent out an emergency call for a varsity baseball coach to lead its defending section champion and Williams answered the call. He not only coached Carlmont to its second consecutive Central Coast Section Division II Championship, but he called the pitches as his staff hurled four consecutive shutouts during the playoffs- a feat never before or since accomplished since the tournament began in 1967. Williams was hired as assistant coach and pitching coach at the University of San Francisco in 1994. He helped that team achieve its best season in many years. When the CSM job opened in the summer of 1994, Williams returned to the Bulldogs. Williams holds a master's degree from St. Mary's College, having written a thesis entitled "A Three-Dimensional Biomechanical Analysis of Fastball and Fork-ball pitchers." He was featured on the front page of an issue of Collegiate Baseball Magazine as a result of his ground-breaking thesis, which included a video and computer analysis of former Oakland A's pitching star Dave Stewart. Williams and his wife, Liliana, reside in Belmont. .375 - 6HR - 35RBI - 2W - 0L in relief. Scott is currently one of Scott Boras's Top Assistants. While at Serra Scott played Varsity baseball in his sophomore year, a nearly impossible feat. Not only did he make the team, he was a key pitcher, helping lead the team to league title competition. Scott's career win total of 24 is the third all-time highest in Padre history, despite his missing several weeks to injury in his junior year. His perfect senior season of 10 and 0 ranks him first among all Padre pitchers in winning percentage.His outstanding senior year earned him first team All-WCAL and All-County honors. Scott was selected to the California All-Star team which played a series of games in Oklahoma. He was selected by the National Baseball Federation to be part of an All-Star squad which toured Japan. Scott earned a scholarship to Santa Clara where he pitched for three years. 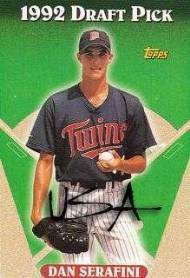 Later drafted by the Oakland A's, he went on to win several games at the major league level for the A's, Rangers, and Padres. A serious arm injury brought a far too early end to his promising pro-career. Serra Baseball 1985 & 1986. Most Consecutive Scoreless Innings 20,1985. Author: More Than Mechanics - a 200-page manual on how to start, run, and maintain a lessons driven baseball business. Graduate of Serra High School. "Duke" grew up in San Bruno. A communication major and varsity baseball player at Stanford University. Delucchi graduated in 1989 with a bachelor's degree and the 1987 and 1988 NCAA College World Series Championships under his belt. Scott’s 20+ years in non-profit management started with his role as Admission Director for Woodside Priory School in Portola Valley. This was followed by similar roles with Serra High School, YMCA of the Mid-Peninsula and Sacred Heart Schools in Atherton. In 1998, Scott joined the senior management team at the Peninsula Humane Society & SPCA in San Mateo and has been with the organization since. In his current role of Sr. Vice President, Scott is responsible for the organization’s Customer Service, Behavior and Training, Education, Outreach, Field Services, Cruelty Investigation, Volunteer and Media/PR program areas and staff. Scott and his wife, their daughter, son and adopted shelter dog reside in the East Bay. Starting guard on the basketball team and catcher on the baseball team. Blanket Award as a senior. It was on the baseball field where Tim's star shined most brightly. 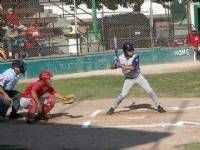 Tim was an All-WCAL catcher as a junior and 2nd team as a senior. He was selected to the All-Peninsula team as a junior and All-County first team both his junior and senior years. During his collegiate career, Tim had a three-year batting average of .331 and was twice named honorable mention All-PCAA at UC Santa Barbara. 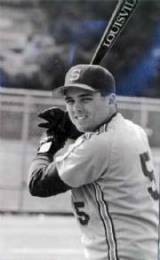 In the 1986 NCAA Western Regionals, Tim had a .538 batting average and was selected to the All-West Regional team. There was little Mike Wolger could not do on the baseball field. A dominating high school pitcher turned into an outstanding collegiate hitter. As a junior Mike burst on to the scene as one of the top pitchers in the area. He earned 1st team All- WCAL honors and 2nd team All-County and All-Peninsula. But combining his pitching ability with his skills at the plate, Mike had one of the greatest seasons in Serra baseball history helping to lead Serra to the number one ranking in the state. On the mound, he achieved a record of 10-1 including 4 shutouts (a school record) and striking out 120 batters which ranks 3rd in school history. At the plate, Mike hit for a .457 average with 27 RBIs. For this outstanding season Mike reaped post-seasons honors. He was named 1st team All-WCAL, 1st team All-County, County Pitcher of the Year, 1st team All-Peninsula, Peninsula Co-Player of the Year and was named to the All-State team. In addition, he was voted the co-winner of the Blanket Award. In addition to his season records, Mike holds the career record for shutouts with 7 and is 2nd in career strikeouts with 225-all done in 2 years! Duplicating this career at the collegiate level would be difficult but Mike did his best. Earning a scholarship to UC Santa Barbara, Mike led the Gauchos in hitting as a sophomore with a .364 average. Following that season, he transferred to the University of California. During his junior season at Cal, Mike was named to the All Mid-East regional team after going 5 for 14 with 2 doubles, 2 homers, and 5 RBIs in 3 games. But Mike's senior season at Cal was reminiscent of his senior year at Serra. All Mike did was win the conference batting title with a .432 average, which also set a Cal school record! He also finished in the school's all time top 10 for slugging average in a season. This great season earned him the Clint Evans Award as the team's MVP! Serra has produced many outstanding catchers, but none can match the career of Matt Bazzani. A three-year starter, Matt is among the leaders in nearly every Serra record category. He is second in career batting average at .454 and second in seasonal average at .528. With 47 RBIs, he is also second in RBIs for a single season. But his 12 homers tie him for the record of most HR's in a season. As a senior, Matt became the first player in WCAL history to win the Triple Crown - leading the league in hitting, home runs, and RBIs. Matt was the offensive force behind the 1991 WCAL, C.C.S, and State Champion Padres. For his accomplishments, he was named All-WCAL first team, as well as the All-County and All-Peninsula teams in both his junior and senior years. During both his junior and senior years, Matt was the Blanket Award Winner, and was named the league MVP for two years in a row. The double MVP distinguishes him as the only player in league history to be so honored. In his senior year, he was All-NorCal. Matt earned a scholarship to UC Santa Barbara, where he had an excellent career. He was drafted by the Boston Red Sox. On the baseball field, Noel played just as hard as he did on the football field. 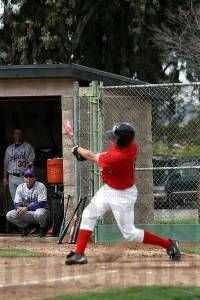 As a senior he hit .406 and was named All-WCAL, All-County and All-Peninsula first team. The San Mateo Times selected him as one of the finalists for the county Athlete of the Year. After Serra, Noel attended Fresno State where he was the starting second baseman for most of his career. As a sophomore he was second on the team in hitting with a .316 average. He finished his career with an average of .294. Statistics aside, Noel's leadership, hustle, and spirit endeared him to fans and teammates alike. High School: Aragon High/Foothill High. Ryan replaces Jason Hawkins as the team's pitching coach. This is Ryan's first year with the club and first season as an assistant at Riverside City College. 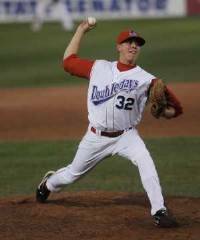 Heil pitched in the New York Mets organization for two seasons and spent the past two summers as an assistant for the Mat-Su Miners in the Alaska Baseball League. Ryan most recently coached at Indiana State University and for two springs at Cal Poly Pomona. Heil finished his college baseball career at Lewis-Clark State College where he earned a Bachelors of Science in Psychology. Question: What are the most important things you've learned since you started - about yourself, about your training, nutrition? Answer:I have always been a competitor since a young age with baseball, football, basketball, wrestling, track and field, and power lifting. So I never had a problem with pushing myself in the gym or sticking to my diet because I know I want to be the best in everything I do. And with my nutrition and training I learn new things every day. At a young age I am still a pup in the sport of bodybuilding. Vez clutches up....drives in winning run..
Matt Fahey and Jesse Barnes joined Post 82 in a remarkable year with the club finishing 51 - 17. Coming out of the losers bracket at the Area Tournament held in "beautiful" Martinez California, Barnes and Fahey were big reasons the Orioles left Palo Alto on the field as Nick Favro's strike single through the right side scored Robbie McDonald with the winning run. Ryder Named 2009 GBL Rookie Pitcher of the Year! "Takes No Hitter into the 8th Inning"
How many times can one player get hit by a pitch????? Fernandez was a two-year starter for DSU, playing leftfield as a junior and moving to centerfield his senior season. He played his junior college ball at Canada College in California. He earned 2nd team All Coast Conference honors after his sophomore campaign for Canada College. Dan begins his first year as an assistant coach at Dickson State College. Fernandez joins the staff after a two-year playing career for DSU. He will be working with the outfielders this year while he finishes his degree in business. Brock muscles up..Homers versus RWC"
"Helps Sweep the RWC Post 105 Blues"
..An Honor to Start the Regionals..
Orioles-I'm sorry I couldn't make it to the dinner but I did want to write something short so that I didn't just bounce on all of you. I've played baseball my whole life and rarely had a starting spot on a team. I would get used to riding pine and picking up my teammates, but on this team I felt like I was picking up my brothers. We taught each other what it truly means to believe and what amazing things can happen. Thank you for giving me a role on this team that I would never pass up.I hope for all the best to all of you - you've all become family to me. Thanks goes especially out to the coaches and parents for making it all possible. To my boys, don't ever stop "BELIEVING" - Don’t lose the "GROOVE". Evan has earned All-SCAC honors in 2008 and 2009. 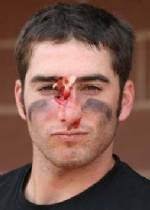 He was a D3 All-American in 2008 and led the country in doubles and was 3rd in RBI’s that year. Eric Robinson saw limited innings as a freshman, logging 12 innings in four appearances. His season was cut short due to a nagging injury, but appears to be ready for a big '07 campaign and should compete for major inning . . . Robinson comes to Macalester from Urban School in San Francisco . . . He enjoyed a stellar prep career, earning all-conference honors all four years in high school. Urban School finish 20-2 and ranked #2 in the state his senior year . 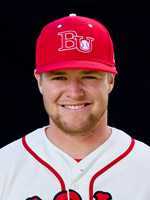 . . Eric also compiled an 9-0 record, with a 1.65 ERA for his legion team which finished third in its region. 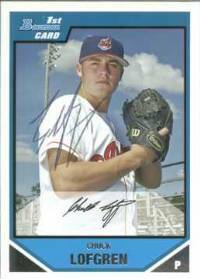 "Its Fun Playing Baseball Again..."
2006 Co-Baseball Player of the Year..
July of 2004...."Kalush is a horse"
State University.Eric has won the "Closers" job for the Hornets. "Barr already has the pitching rotation in mind. The duel closers will be seniors Jeff Roth and Eric Fregosi. Fregosi is a returning pitcher with an entirely new side-armed style of pitch, as opposed to his original overhead throw. Barr said Fregosi improved a lot over the summer and is ready to handle the role of closer. "It's a pretty big change," Fregosi said. "It's working out a lot better for me. "Though Barr named Fregosi as a possible starter, Smith referred to him as a relief pitcher, but he noted Fregosi's improvements. "He is night and day from last year. His ball has a little sink-and-run to it. He's going to be really outstanding for us," said Coach Smith. Along with former Burlingame High School teammate Eric Fregosi, Danny anchored a solid Pitching staff that helped lead the Orioles back to Yountville for the 4th year in a row. Blessed with a live arm and fierce competitiveness - Dan pitched in Starting - Middle Relief and Closing Roles. Currently Dan is at Hawaii Pacific.... Pitcher - Junior • 6-2' • 175 -Personal: Born in Burlingame, California...parents are Ken and Val March...has two brother Andy and Chris...enjoys Italian food...favorite movies include Old School, Godfather 1, 2, and 3, and Superbad...favorite athletes are Nolan Ryan, Jonathan Papelbon, and Tim Lincecum. High School: A graduate of Burlingame High School...lettered in baseball...awarded First Team All Conference and First Team All County Senior Year.Prior to HPU: A transfer from Skyline College in San Bruno, California...lettered in baseball under Coach Dino Nomicos and John Quintell...named Second Team All Conference. Nearly every pitcher dreams of throwing a perfect game. Keith Juricich of the San Mateo Orioles team achieved it in the 30th Annual Papa's Pizza Invitational at Eugene, Ore. Facing the Eagle Vipers of South Dakota, Juricich allowed no baserunners as the Orioles rolled to a 9-0 victory in a game shortened to five innings.Thus Keith threw San Mateo American Legions first Perfect game in a dominating performance in Eugene Oregon during the Papa Pizza's July 4th tournament in 2005.Keith was part of the Orioles starting pitching staff that won the District 26 Area Tournament and an Oriole club that went to Yakima Washington for the Legion Regionals.Keith went on to have two fine years at Canada Community College in Redwood City - and is playing college ball for St. Joseph's College in Brooklyn, New York. As Senior: Played in 31 games and started in 29. Split time between pitching the outfield and as the DH. Offensively led the team in stolen bases (11. Finished fourth on the team in batting average (.333), slugging percentage (.448), runs scored (22), hits (32), and RBI (22). As a pitcher, ranked first on the team in ERA (2.90), and wins (3). Juricich tossed seven innings of two-hit ball in a 5-1 win over the University of Maine Presque Isle on March 27th. Named AD3I Second Team All-Independent. Received AD3I Player of the Week and USCAA Player of the Week honors of the week of March 30. As Junior: Started six games as a pitcher and 19 in the outfield. Collected 21 hits, 15 runs, nine RBI, ten walks and a .333 batting average. His 15 stolen bases were good for second on the Bears. Juricich compiled a 1-4 record on the hill with a 7.36 ERA and 22 strike outs. Notched his first win on April 19th against Yeshiva allowing only an unearned run and three hits over six innings pitched. Named AD3I Third Team All-Independent. 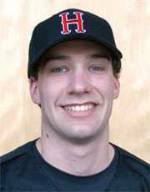 2010 Baseball University of Rhode Island Adam Chickman was the starting catcher during the summer of 2006 and was in charge of a veteran pitching staff that eventually returned the Orioles to representing Area II at the State Tournament in Yountville, California. Besides his obvious leadership skills Adam possessed great ball blocking ability along with a strong throwing arm. 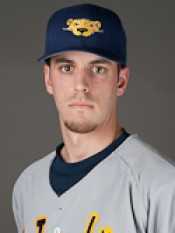 Adam spent two years (2007-08 as the starting catcher for the College of San Mateo. He is currently a student-athlete at the University of Rhode Island and is vying to be URI's starting catcher. One of his teammates is Alex Sortwell. 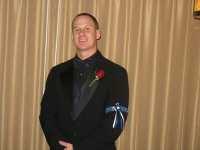 Chris played one year at Skyline College andwas a two-year letter winner at Junipero Serra High School. He was named to all-league and all-county teams twice and served as team captain his senior year. Personal:Enjoys playing the guitar and Guitar Hero. Lists his biggest athletic thrill as playing a championship baseball game under the lights in the Oakland Coliseum his senior year. At Academy of Arts University 2009: Finished with the most hits, home runs, runs scored, RBIs, walks, and total bases on the team...played in and started 28 games...had a .351 batting average, six home runs, 22 RBIs, and 55 total bases...established career-highs in home runs (2), runs scored (3), and total bases (8) versus Hawaii Hilo on Mar. 23...notched his career-high of three hits on two occasions (at CSUMB on Mar. 20 and at Menlo on Apr. 14...also recorded a career-high four RBIs at Menlo on Apr. 14. JWhit was the ultimate student-athlete from Serra High in San Mateo playing Padre Basketball and Baseball for four years. One of the cornerstones on the Bulldogs - Jason then hit one of the most memorable Home Runs for the Orioles - at Yountville pinch hitting in the Bottom of the 7th inning and going deep directly over the center field flag pole. He is currently ready to graduate from USC in May and head back to the Bay Area. Joshua’s final at bat for summer baseball. This was at a stadium in Marysville, CA on Sunday July 31, the last game of a 4 game series…no The Homerun was hit over a 20 foot wall in left center- hitting the netting behind the wall 15 feet. They were playing the Yuba City Gold Sox one of the top college Summer teams in the country. "Josh's Intro to Post 82"
News from Biola's last game.March 7th 2009 Biola plated the lone run of the second game in the fifth inning. With one out, Daniel Bodemer, who had one of Biola's two hits in the game, drew a walk followed by another to Billy Vopinek. Josh Burket then punched a single to right field, though it was hit too hard to score Vinnie Fayard, who was in to pinch-run for Bodemer. Chris Foreman was able to get the run home, driving a low liner into centerfield for a sacrifice fly. Center fielder Dwight Nixon's amazing diving catch allowed the lone run, but saved at least two more runs from scoring. Freshman Year @ Haverford College Appeared in 12 games and started six ... Went 2-1 with a 5.00 ERA in 36.0 innings pitched ... Finished third on the team in innings pitched and appearances ... Tossed five innings and allowed just two runs against Swarthmore to earn his first collegiate win (4/7) ... Defeated the Garnet six days later, tossing five innings again (4/13). "3 RBI's for the Dawgs"
Marcus solidified Post 82's starting Pitching Rotation from the second he joined the Orioles and was the Staff Ace both years. 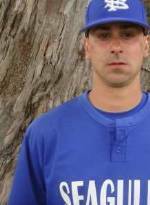 A 2009 graduate of Skyline Junior College, Marcusfinished 10-4 record as a pitcher tied for the sixth-best in the California Community College Athletics Association (CCCAA). Pointer closed out his junior college career with a 4.12 ERA to give him an 11-3 record and 118 strikeouts in 104 innings, as well as three complete games and one complete game shutout in under 100 pitches to tie for fifth in the CCCAA. Marcus's 10 wins in 2008 were the most by any pitcher on the Trojan staff and his 20 appearances were also a team-high. 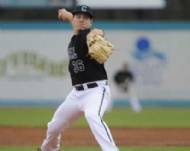 The Coast Conference named Pointer Pitcher of the Year, as he closed out his career at Skyline with a 20-8 record to place second on the all-time wins record list in school history. Additionally, Pointer was named to the JC All-America team. High School:During Pointer's junior and senior years the Padres closed out the season with a 12-2 record and continued on to win the West Catholic Athletic League in the championship game both seasons. For his efforts on the mound, Marcus was named first team all-league, First Team All-County and in his senior season, earned the award as Pitcher of the Year, after compiling a 10-0 record entering the championship game. Academically, Pointer was a four-year honor roll student who became a member of the National Honor Society. Aragon High School - 2008: Named to All-Peninsula Athletic League second team and Palo Alto Daily News All-County third team as a senior... Finished season with .456 on-base average... Helped lead the Dons to Central Coast Section playoff berths in final three seasons, including quarterfinal appearance in 2006. Majoring in mechanical engineering at UC Davis.Older brother Steve plays baseball for Santa Clara. From UC Davis Coach Rex Peters: "We feel Scotty is one of the best defensive catchers in the state and is improving rapidly with the bat. He's another tremendous student-athlete that is an ideal fit for our program." Article:"Scholarship Reward For Hard Work"
Richie spent one season on the Bulldogs and then in 2007 and 2008 became one of the mainstays in the Orioles starting rotation - while always pitching in the biggest games of the year as well as starting assignments at the State Tournament. Richie hands Paly first League Loss..
re-habbed effectively enough where he would have been ready had the Orioles gotten to Yountville.Richie pitched on Serra's varsity and two years on the staff at Cuesta Junior College in San Luis Obispo.From Cuesta web site:Sophomore Richie Mirowski (Redwood City) is the only other right-hander in the group and is buoyed by the staff’s best numbers from 2008. Marketing Major, Born April 20, 1989 Recruited by Cal Poly, Chico State, Texas A&M, Corpus Christi, and Vanguard University, Richie joins OBU for his first season of Bison ball. He is a transfer from Cal Poly and a graduate of Junipero Serra High School. He was a member of the National Honor Society, Student Athlete, was on the Presidents List and in the top five percent of his class. Dominic helped lead the 2007 San Mateo Bulldogs to their first ever trip to the State Tournament in Yountville California - after helping lead San Mateo Legion to a come from behind Area Tournament win over Gilroy at Baylands Athletic Center. In 2008 he solidified a outfield on the Orioles while becoming an RBI guy in the middle of the Orioles lineup. 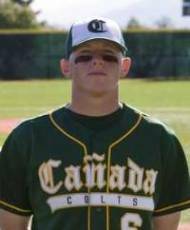 Dom finished up his second year at Canada Community College in Redwood City California and is now a member of the University of St. Mary Spires Baseball Program. Chico State 2012 Transfer from Canada College in Redwood City…Pre-Chico Days: Played two years with the Colts…Hit .336 last season, earning First Team All-Pacific Coast Conference honors…Second Team All-PCC as a freshman…A 2007 graduate of Aragon High School in San Mateo…Three time All-Peninsula Athletic League selection…Also lettered in basketball…Personal: Born 4/10/89 in Redwood City…Son of Earl and Lynn…Has two siblings, Josh and Jace…Sports hero is future Hall of Famer Ken Griffey, Jr…Biggest sports thrill is the San Francisco Giants winning the World Series…Enjoys fishing…Wants to someday travel to Japan…Best advice ever received: “Pain is weakness leaving the body”…Claims that “ball” was his first spoken word…Would like to meet the cast of the hit TV show “Workaholics”…Majoring in Construction management. Pierson left the Post 82 Program after spending two solid years on the Bulldogs and two tremendous years on the Orioles. In many ways the soul of the club the last two years. Two years ago teaming with Alex Augustyn up the middle and last year - 2008 - playing SS / 2b and 3rd base teaming with middle infield partner Ryan Allgrove. Towards the end of the 2008 season...heading towards the Area Tournament -Pierson suffered a high ankle sprain. He rehabbed 24/7 with the help of Post 82 Trainer Karen Sargent - and somehow returned to action at third base and competed at a high level - even though that particular injury usually keeps others out a minimum of one month. 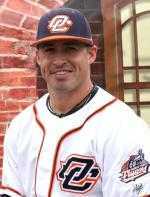 Pierson redshirted at Canada College in 2008 and was the starting secondbase man for the Colts during the 2009 season and was designated to slide to SS for 2010 but suffered a season ending labrum injury. Now completely healed Pierson will be the Colts 2011 starting second baseman. 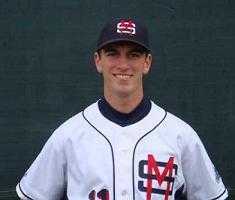 Out of Serra High School Ryan chose Fresno State because it was always his dream to play for the Bulldogs. 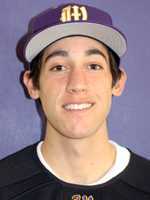 Ryan then transfered to the College of San Mateo for the 2009-2010 year and was the Bulldogs starting shortstop. 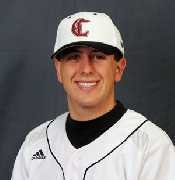 For his Junior and Senior year Ryan is at UC Davis as an Aggie middle infielder. Ryan joined Post 82 Baseball for the summer of 2008. He paired with Pierson Jeremiah to provide solid defense up the middle. On the mound he was the ace of the Oriole Staff and offensively he switch-hit successfully while batting in the leadoff position. At Serra HS: Three year letter=winner in baseball. WCAL League MVP in 2007 and 2008. first team all-state... earned three WCAL Championships at Serra High School. San Mateo County Player of the Year - also lettered in basketball.Personal: Ryan Ross Allgrove was born on Aug. 24, 1989 in Redwood City, Calif,the son of Ross and Linda Allgrove, favorite athlete is Dustin Pedroia. 2010: Started the first six games at second base, but missed the rest of the season due to an injury...hit .367 with 7 hits in 19 at-bats... scored 4 runs, with 6 RBI, a double, and drew 4 walks... had 2 hits in each of the first 3 games...Junior infielder Taylor Heon landed a spot on the 2009 Rawlings/American Baseball Coaches Association Pacific Division Gold Glove Team. Heon, who hails from Pacifica, Calif., transferred to Southeast Missouri State from Skyline College. A 5-8, 165-pound second baseman, Heon hit .323 with a team-high 42 runs scored in 43 starts for the Trojans last season. A second-team all-conference pick and the Coast Conference Pacific Division's Defensive Player-of-the-Year, Heon also ranked second on the team in RBI (37) and third in both doubles (8) and home runs (5). "This prestigious award speaks for itself," said Southeast head coach Mark Hogan. "Not many guys reach this level. Obviously, we are very happy to have Taylor at Southeast Missouri State." The Rawlings Gold Glove has been the standard for outstanding defensive play in the Major Leagues for over half a century. Cody joined the Orioles the summer of his junior year at Serra and immediately became a starting outfielder and impact player in the batting order. His quiet confidence and ability to lead by example set the bar high for his teammates to follow. His attention to detail, game attendence and love for the game was evident every time Cody walked on the field whether it was to practice or play in a game. He epitomizes the phrase - "when your best player is your hardest worker" - "it makes coaching that much easier". Cody is entering his second year as Skyline JC's starting rightfielder. During his first year Cody was 2nd Team All-Conference and a Finalist for Rawlings Gold Glove Award. Eighth-ranked Campbellsville University has announced the signing of its first 2011 baseball recruit, right-handed pitcher Dario Bortolotto of San Mateo, Calif.
"We couldn't be happier to add Dario this early to our program," said 20th year Head Coach Beauford Sanders. "He is unquestionably the right fit for our program and his ceiling is high. As he works in our program, I could see Dario being a guy sooner rather than later." 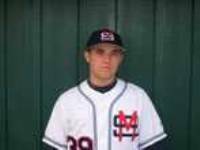 Bortolotto will be playing his senior year at Serra High School in this spring and will likely be in Serra's starting rotation. Serra is the same high school that NFL MVP quarterback Tom Brady and MLB home run leader Barry Bonds attended. 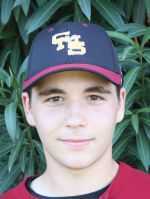 Bortolotto played his fall baseball with the All Star Academy Titans, a premier college showcase team in the Bay Area. While on the Titans, Bortolotto played for Joe Gerber, helping the Titans to their best finish in program history. Bortolotto is the first signee in what will be a massive recruiting class as the Tigers will be losing a slew of seniors in 2010. "We know Dario will come right in and be a guy that we love having in the program," added Sanders. "He has the un-teachable bulldog mentality that we demand of any player that plays in our program." Skyline Community College: Played two seasons at Skyline Community College...Prep: Graduate of Carlmont High School…was a second team All-Conference pick as a senior. Recorded a 4-3 recorded with a 2.14 ERA as a senior with three saves and 53 strikeouts. Prior to Coastal Carolina: Played two seasons at the College of San Mateo, where he was a two-time first team all-conference selection ... 2011 (So. ): Entered his sophomore year being named a preseason JuCo All-American ... Went 5-2 and posted a 1.57 ERA ... Struck out 46 in 63 innings with just 15 walks ... 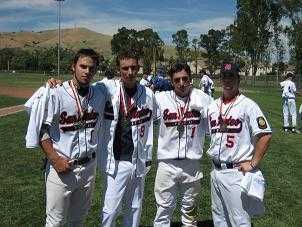 Led San Mateo to the state championship and appearance in the Northern California Super Regionals ... 2010 (Fr. ): Was 5-1 with a 1.40 ERA in 10 appearances, including six starts ... At Carlmont HS: Was 7-4 with a 2.04 ERA as a junior, earning all-county honors, and 3-3 with a 2.42 ERA as a senior ... Struck out 53 in 52 innings as a senior. 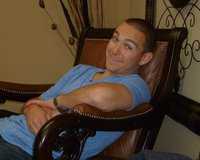 Personal: Born May 23, 1991 in Redwood City, Calif. ... Son of Vince and Eileen Bradley.